Making things ‘go’ isn’t an easy task, especially if the thing is a robot. Assigned to make a one that can run, jump and manipulate its air movement, a group of students from Michigan State University gave their robot the green light. They came up with a cute little caudate called TailBot. It achieved all of the set goals, but its movements are so peculiar that they have to be seen to be believed. For instance, the TailBot has feet, but in order to run, it tips itself over and scurries around on its back. When it jumps, it gets even more bizarre and droll. 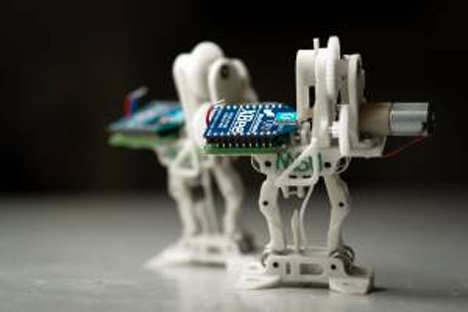 With a staggering height of three inches, the TailBot bends its tiny little legs and springs onto areas more than 10 times its body height. Its tail functions as a mid-air stabilizer. This allows the Tailbot to land safely in an adequate position. 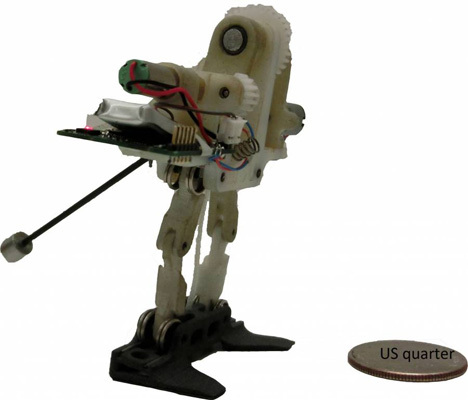 The inventors have also come up with a single-motor-actuated miniature jumping robot (seen above) with the simple moniker Jumper. We’d like to see one of these set a high jump record. Now stop reading this and watch the video of this super-cute robot in action. See more in Robotics or under Technology. August, 2013.